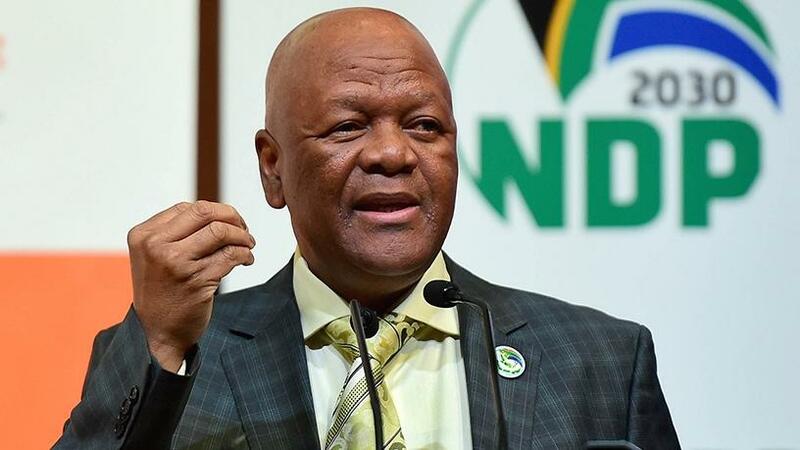 Energy Minister Jeff Radebe today revealed the long-awaited Integrated Resource Plan (IRP) update, appealing to the public and interested parties to take the final opportunity to influence the country's energy roadmap to 2030, by commenting within the next 60 days. The IRP is a 20-year energy roadmap to meet SA's future power needs. In 2030 the government envisages the energy mix will consist of: 34 000MW of coal, representing 46% of installed capacity; 11 930MW of gas, or 16% of installed capacity; 11 442MW of wind, or 15% of installed capacity; 7 958MW of photovoltaic (PV, or solar); and 4 696MW of hydropower, or 6% of installed capacity. The first IRP for South Africa was promulgated in March 2011. It was indicated at the time that the IRP should be a "living plan" which would be revised by the Department of Energy (DOE) frequently. The promulgated IRP, commonly referred to as the IRP 2010, is currently being used to roll out electricity infrastructure development in line with ministerial determinations issued under Section 34 of the Electricity Regulation Act. "The electricity generation and distribution landscape in South Africa is changing at a rapid pace compared to the period before 2010," said Radebe. "In keeping to our climate change commitments, the country has also introduced renewable energy through independent power producers. Technology advancements and the decline in cost make it possible for end users to now generate their own electricity. Increasing electricity prices have also made substitutes such LP Gas a viable alternative for cooking and heating." He added that electricity demand is, therefore, no longer captive to the national grid (Eskom or municipalities) which impacts supply and demand planning. Renewable industry body, the South African Wind Energy Association (SAWEA) says it congratulates the Department of Energy for ensuring that the draft IRP2018 places emphasis on "least-cost" options to 2030 with significant new wind, solar PV, and gas allocations. "By 2030, wind should make up just over 15% of the country's power mix, assuming that all 8 100MW of new procurement is achieved by then, bringing onshore wind to 11 442 MW in total," says Brenda Martin, CEO of SAWEA. "Energy investment choices made in the IRP 2018 update will have long-term effects for the economy as a whole, and the successful, timeous achievement of the energy transition. It is, therefore, critical that public inputs call for the finalised Integrated Resource Plan to be based on choices that allow for transition-related investment certainty and job-creating local manufacturing growth in particular." SAWEA has asked for clarity on the planned sequence of wind investments which currently suggest a three-year gap in procurement between 2022 and 2024. It says the industry cannot deliver the many socio-economic benefits and the scale of investment associated with wind power supply, with a stop-start approach. SAWEA adds that it notes with interest the Department of Energy's proposed further areas of analysis, particularly those relating to gas supply options, linked to a renewable energy and gas-dominated supply mix post-2030; the appropriate level of renewable energy penetration, which includes further work on renewable energy integration effects on the grid; as well as a socio-economic impact analysis of decommissioning of coal-fired power plants that would have reached their end of life. Finally, the association says it supports the minister's desire that Cabinet adopt the IRP 2018 which will serve as SA's electricity generation roadmap for the next 12 years, as soon as the comment period is concluded.